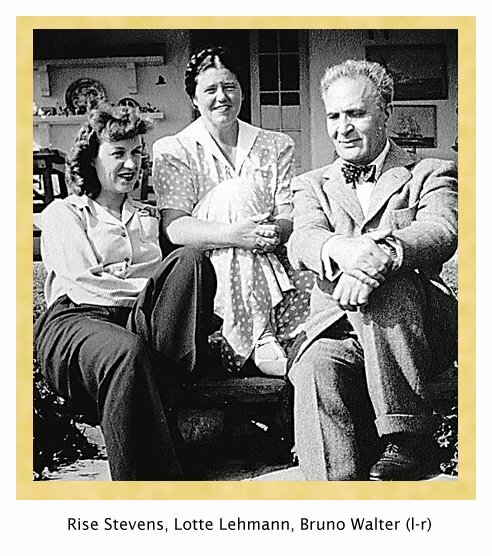 Risë Stevens Interview with Bruce Duffie . . . . . . . When I spoke with Risë Stevens in April of 1985, the opera world was just beginning to use supertitles in the theater. Naturally, our discussion included a bit about this new gizmo, and it’s fascinating to see what was going on in both our heads at that specific time. These days we take it for granted, but then it was new and exciting, and seemed to usher in a new era of enjoyment and understanding for the 400 year old art form. We spoke of many other things as well, and here is that conversation . . . . . . .
Bruce Duffie: First, one of my favorite questions — do you feel opera is art, or is opera entertainment? Risë Stevens: Oh, I think it should be both. I think it’s definitely art in a sense that it is an artistic approach, and it should be entertaining and entertainment to people who watch it. I think that’s what’s happened. We have now greater audiences as a result. BD: Is this due in large extent to the televising of operas? RS: I think that has a great deal to do with it, and also the fact that we have many more opera houses and opera companies within the United States that give people chances. Also, singers are now in abundance. BD: Is there any chance that there’s too much opera going on? RS: I don’t think there is such a thing. I think the public has become aware of opera and is more knowledgeable today of its art form. BD: Do you think opera belongs on the television? RS: Oh, yes. Definitely! There’s a vast audience out there! BD: You were on some televised operas in the fifties. Has it come a tremendous way since then? RS: Oh, my Lord, yes! Televised opera has. I wasn’t in televised opera; mine was closed circuit television, and that was only in certain movie houses, if you recall. [To see a photo, click here.] That was not really television as such. BD: That was about as close as we got back then. BD: I just wonder if opera on television is an idea whose time has come. RS: I think so, and I think it will be more and more. BD: This moves into an interesting question — should opera be done in translation? RS: You mean, in English? RS: I think that the subtitles that they’re using is a great idea, especially to people who do not speak the language. That is a reaction we’re getting from audiences throughout the United States and Canada and everywhere with the English-speaking public. They’re finding out a great deal about opera and what it’s about, plot-wise, through these subtitles. BD: So you think, then, that this is going to put to rest the old argument of should opera be done in the original or in English? RS: When you speak of the Metropolitan Opera, which is an international house, I think it has to be in the original language. That has been a discussion for many years. Certain operas, as you well know, are done in English. Hansel and Gretel, for instance, is done in English. BD: They even tried a Bohème a number of years ago. RS: Yes, that’s right. Certain opera companies do certain operas in English. I understand there are many times they do a Figaro in English. I don’t think that is acceptable in terms of the Met, but naturally when you have an international house, which ours is, they approach it from that angle. BD: Do you think the supertitles in the theater are going to ever come to the Met? RS: I can’t answer that. You will have to find out from our general manager and probably from James Levine if that ever will occur. They’re talking about it. BD: I just wondered if you had seen them, and if you think they work in the theater as well as they work on a little screen. RS: I understand it works very well at the City Opera, yet I’ve not seen it so I don’t really know. But I think that audiences have responded favorably to that. BD: We’re going to get our first shot at them here in Chicago this fall. One of our operas at Lyric will be with the supertitles. RS: That would be interesting for me to find out, if you’d let me know. I’d like to know about that. BD: Okay. I’ll drop you a card. BD: I understand they’re using them in San Francisco for all of their productions now. RS: Oh, are they really? I hadn’t heard that. BD: At least that’s what I’ve been told. RS: Oh, my! I’d love to know where they put them. BD: As I understand, it’s up at the proscenium. My question is, how big are the letters? RS: Well, that’s again something else. I also would like to know if you look at it rather than to look at the stage and if you’re not concentrating on the action. That would be very, very interesting for me. That’s the reason I would like it. Of course on the television screen you look do look at the action. I know the roles that I’m listening to in their languages, but I do tend to see the way they translate them, and they’re pretty good. They’re not totally accurate, but they get the meaning, and to me that’s exciting because when you present it to an audience that do not comprehend the language, it does give them a sense of the plot. BD: And it doesn’t have to be a singing translation, so they don’t have to match syllable for syllable and stress for stress. RS: No, no, of course not. BD: The people I’ve talked to in San Francisco say that it takes about ten minutes, and then all of a sudden it becomes automatic. Your eyes glance up there, and then back onto the stage. It becomes part of the whole performance. RS: That’s a much smaller theater, you know. I’m just wondering how it could possibly go in the Met. From the stage to the top of the proscenium is quite a distance. They do it at City Opera, but that is not as huge a stage. BD: I wonder, too, if it’ll affect differently the people that are sitting in the first ten rows of the orchestra and the last ten rows of the gallery. RS: Right, depending on where you sit in the house. BD: I’m sure they’ll experiment with it and refine it, just like they’ve refined all kinds of other things. RS: Probably. [Laughs] Very probably. BD: You often judge auditions. What do you look for when you’re listening to young singers? RS: Mostly we evaluate the voice. The voice is the most important thing and we do make concessions in terms of other things. We do look for a total involvement with that singer — if they know what they’re singing about, if they are able to communicate with an audience, if they have the kind of voice that has the projection that can work in a big opera house. Naturally we think in terms of the Met. Maybe other companies might not do that quite as much, but from what I hear they do think in those terms as well. Also we look for a kind of charisma. Again, that has to do with communication. BD: Is that something which can be taught, or it is just an innate sense? RS: Sometimes there is an instinct which is born in a singer and they have that naturally. It can be taught to a degree, but beyond that I don’t know. I think it becomes limited then. BD: From a singer’s standpoint, is it necessary for them to understand all the aspects of the opera including the lighting, the scenery, the orchestra, the chorus, and everything? RS: I don’t think so. What they should be more concerned about is their presentation. Eventually they become very aware of those things as time goes by. The more you sing, the more aware you become of lighting, of the orchestra or orchestration that you’re dealing with and certainly the conductor. Each conductor has his own idea of an opera, and you have to cooperate with that particular conductor in his kind of interpretation. It doesn’t alter your interpretation of a role, but here and there it might be musically different from another conductor. BD: Do you find the better artists on stage are the ones who do understand more of these things that are going on around them? RS: It’s a help, to a degree. I don’t think they’re conscious of that so much as they are in their actual own performance. BD: I’m just wondering how much you get wrapped up in your own interpretation and blot out everything that’s going on around you? RS: I don’t think you quite block out anything. You’re very aware of other singers that you’re singing with in terms of interpretation, in terms of the sound that you’re hearing coming from that other singer, which rather influences you with your response. You find that in the theater as well, when you go to see a dramatic piece on the stage. You’re very aware of pitch, of a performance speaking pitch. It’s almost the same in singing. BD: When you were performing on the stage, were you Risë Stevens doing a character, or did you become that character? RS: We like to believe that we become that character, but of course you can’t ever overlook the fact that you are that person, and that person is, indirectly, performing that particular role. That would not necessarily mean that somebody else is going to perform it the same way. There always is the individual kind of reaction or presentation that you give, which is you, of course. But it also involves other things. BD: You played quite a number of roles in which you were a boy or a man. Did you enjoy doing that? RS: Oh, yes, very much. In fact at the beginning of my career, when I was still at Juilliard, I went abroad to study Octavian in Rosenkavalier with a woman who was THE Octavian of her time. Her name was Marie Gutheil-Shoder, and it was with this woman that I found how you think, how your carriage-bearing is on the stage, how you gesture as a man onstage as opposed to a woman. BD: Tell me about Octavian. How impulsive is he? RS: I don’t know that I would use that word in terms of Octavian. He is a nobleman and one who is very much in love as a young man with the Marschallin. Through her, he is exposed to the way she sees she was as a young person. The manipulation there, in terms of the Marschallin, makes him aware of Sophie exactly the way she thought might happen. She sees herself as a young Maria Thérèse. That’s the whole thing at the end of the first act where she’s remembering her youth. She realizes that she can’t hold on to Octavian forever, in that sense, so she is working this in such a way that’s quite extraordinary. BD: Are Octavian and Sophie happy together? RS: Oh, yes, I think so. I must presume they are and were. BD: Does it last into the fourth act? RS: Yes, I think so. BD: Generally the speculation has been that that relationship doesn’t really last. RS: No. I don’t believe that. When you approach Octavian, you have to believe that that does. BD: So Octavian doesn’t go philandering on Sophie? RS: No. I do not think so. BD: Is there any relationship between Cherubino and Octavian? RS: No. Cherubino is very, very young in his manner. He falls in love — he wants to fall in love with everybody! He even falls in love with the Countess. Absolutely every time he goes near her he just practically faints. When Susanna is helping him with his girl-costume, he tries to kiss her. He’s always trying to make advances towards girls. He is an entirely different character from Octavian. BD: Is he going to burn himself out with this? RS: [Laughs] Oh I doubt that very much. He’s impulsive. BD: He’s the one that’s impulsive. BD: Let us move to a couple of your French roles. Tell me about the character of Mignon. RS: She’s a rather lost person, who has been picked up by gypsies. She remembers something from her past as a very young child that she cannot seem to obliterate from her mind. She constantly talks about that when she says, “Connais-tu le pays?”, “I remember the land where such and such things happened, and the marble columns,” and other things that she remembers. She doesn’t know whether that was a dream or if it really happened. She talks about, “It was there, it was there” that she found such great happiness and such beauty. Then she falls in love with Wilhelm Meister, and she reiterates this to him again and again. Then, when Lothario comes and realizes through all explanations that happen through the opera that she is his daughter, and she realizes that she is the daughter of Lothario. There is the whole plot. BD: Is she looking for security? RS: I don’t think she’s aware of that. I think she accepts it the way it arrives, the way it comes at that moment. BD: Why is that opera not done very much anymore? RS: I can’t answer that. Some people think it’s rather old fashioned musically, but I think certain houses are now bringing it back and trying it with audiences. It’s French repertoire, and they’re talking about a lot of French repertoire coming back. So it could very easily come back into the repertoire in a few years. BD: Is it just falling in and out of vogue, then? BD: I just wondered if there was some specific reason that you felt that it was not being done now. RS: No, it’s the same as many other French things that have not been given in the past few years. They’re talking about Faust again coming back in the repertoire next year. Eventually they come around to it. BD: Did you enjoy being a seductress like Dalila? RS: Oh yes, very much — and Carmen. BD: Are Carmen and Dalila at all alike? RS: Not really. One manipulates in a different way from the other. When you speak of Dalila, she is seductive in terms of wanting to overpower someone religiously. It’s religious — it’s a kind of sect with the Philistines. The high priest keeps after her to get to Samson and find out what his secret is, and the only way she can find out his secret is to seduce this man. BD: So she’s not really interested in him at all, she just is after the information? RS: I think in this case, yes. I think she’s not interested. BD: She couldn’t have been happy with him at all? RS: No. I don’t think that even enters her mind. BD: Could she be happy with anyone? RS: That I don’t know. I did not play her that way. Carmen is in love with love. She falls in and out of love. I don’t think she really loves Don José in terms of what we call ‘love.’ She uses him, she enjoys him, but I’m sure she enjoyed other men as well. She falls in love with Escamillo the same way, except she’s more interested in Escamillo because he’s brought a new dimension to her life. One wonders what goes on after that. BD: Does she tire of him like she tires of other men? RS: That you don’t know because she’s killed. But that’s always a question. BD: Is that what she is really looking for — someone that will stimulate her, someone that will broaden her interests? RS: No. I think she enjoys being in love and making love. BD: Is she at all a liberated woman, or is she just a misplaced woman? RS: I don’t think she’s either. I don’t think she gives that a thought. That’s Carmen. That’s the way she lives and she dies that way, too. 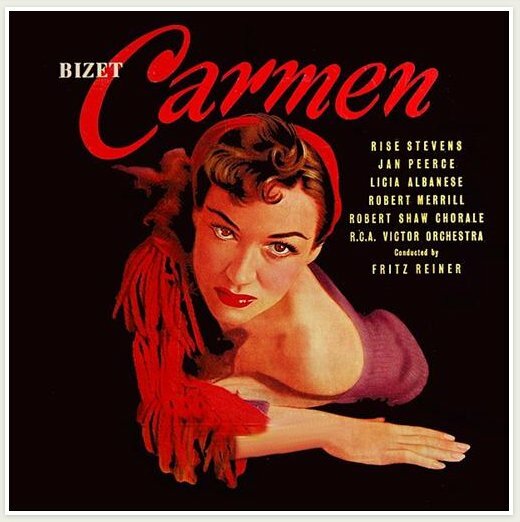 BD: You were in two different styles of Carmen — the older style and then the new style with the new production in 1952. RS: Yes. That was the Tony Guthrie. BD: Did that signal a new era in operatic production? RS: I don’t know. It was differently directed. I don’t know that I changed that much in my interpretation, although he brought something to it dramatically. I probably didn’t have quite the same approach when I did it before that. I found it much more exciting to do under his direction. BD: Did you find that he really changed it, or did he expand on what was already done? RS: He expanded on it. Change, I think, is the wrong word to use. He gave it a different dimension directing-wise — the way she approached Don José, the way she falls in love and out of love, and things like that. I was probably not as conscious of the part when I did it before as I was when I re-did the role again with him. Also, I want to say that what we talked about earlier in terms of Carmen, you will find many people who are singing Carmen have an entirely different approach toward this role. RS: That’s their prerogative. It’s just different. I have found singers who really think they are in love with Don José. I was not. I didn’t play her that way, but there are singers who do. There are singers, for instance, who already are conscious of the death coming up. I didn’t play her that way. Carmen can be done many ways. BD: You really didn’t think about death until the third act when you were dealing the cards? RS: Yes. The only time that it really became apparent was from the cards, and even at that, I thought I could conquer that. I thought I was strong enough not to let it happen, although being Gypsy, it had an effect. BD: Did you view Death as a challenge? RS: I think so. In the last act I did not think that he would have the strength to really carry through and kill her. Although he says he’s going to kill her, she defies him. I played it to the very end where I defied him to do it, thinking that I was going to get away. BD: You had already had your appointment with Escamillo and you were going to keep it! RS: Yes. That’s the way I thought. BD: As we talk about expanding of the role of Carmen in this production, does your recording with Fritz Reiner reflect that? RS: Yes I think that does because that was the first performance that Fritz Reiner did with me. I didn’t do any with him before that. BD: So he was then involved with the production? BD: Did he agree with all of the things that Guthrie did? RS: Yes, he did. Very much. BD: Was he a good man of the theater? RS: Oh God, was he! I think he was one of the greatest. He was a very exciting conductor, very exciting, and wonderful to work with. He had a real feel of the stage — timing, pauses, a feeling for moments of quiet and also moments of fury. BD: Is that kind of thing someone can be taught, or does that have to be innate? RS: I think that’s in the individual. BD: Is there any way of bringing along young conductors in that kind of tradition? RS: In the years they conduct they learn a great deal about these things, having done them again and again and again. Some people have that to begin with and some people do learn, eventually, what they’re looking for in a performance. Probably James Levine has this already born in him. I think Fritz Reiner had this born in him, and many other conductors that I can mention. Böhm had that; Mitropoulos. BD: I just wonder if we’re getting that at all in the younger generation. RS: It’s too early with the young ones to tell that. BD: In general, are you optimistic about the future of opera? RS: Oh I am, most certainly! I think it has the greatest chance today than it’s ever had. I really believe that. BD: How can we keep audiences interested in opera? RS: What we’re doing at the Metropolitan Opera with these telecasts, and interesting young singers to get ahead and make this a career, like we do here at the National Council with our auditions. That’s a very important issue that we have, and a very important involvement. BD: Let me ask you about singing at different houses. You sang in houses as big as the Met and as small as Glyndebourne. How does the size of the house affect your vocal production? RS: Because Glyndebourne is a more intimate theater, you tend to have a more intimate kind of singing, a more intimate way of not only producing the voice, but a way of gesturing, of involvement in the role. It is a more intimate kind of presentation. When you have the Metropolitan Opera, which is a huge house, and also a Teatro Colón in Buenos Aires, these are huge houses. You then have a different kind of vocal projection, perhaps even a little bit more in terms of your characterization as well. Not too much, but there is a certain amount more that’s given. And don’t forget, you deal with different size orchestras, too. Glyndebourne is a small orchestra in comparison with the Met or Teatro Colón. BD: Does this present any problems on the stage, especially when you’re playing at the Met for four thousand people, and yet the television cameras are there so it’s very intimate as far as what people are seeing at home? RS: I don’t think they pay any attention to that. You’re seeing a Met performance as it appears on the Met stage. BD: So it’s up to the camera people and technical people to catch that? RS: That’s right. That’s exactly what they try to do. BD: Are you pleased with your recordings in general? BD: Are you pleased with recordings today? Are they not getting too perfect, and are audiences not expecting too much when they come to the theater? RS: No. I think that the recordings are now so superb that you’re hearing the best out of certain voices that are there. Ours were not quite as perfect. If you remember years back, if that needle went over the certain mark, you had to step back or they couldn’t record it. The one who suffered the most with that was Kirsten Flagstad who had this huge voice. They could never quite get the volume of that voice on record. Although we hear it and it’s very beautiful, it’s not anywhere the size of that voice in the opera house. So today what you’re dealing with is a perfect, or as near perfect, rendition of these voices on record that you do get in the opera house. BD: Can it be too perfect? RS: Do you think anything can be too perfect? I don’t. BD: Then does that build up a false expectation when people then come into the fallible opera house? RS: People do tend to turn up their hi-fis to such a degree that they’re almost ear-piercing. You must realize that when you go into an opera house, you’re not listening to that same sound. You can’t possibly get that unless you amplify it, which of course you don’t do in an opera house. BD: What is next on the Calendar for Risë Stevens? RS: I’m Executive Director of the Metropolitan Opera National Council Auditions. I’m getting great joy out of this because with this position I’m trying to discover those singers that we have in these United States and Canada who have the potential to start making very fine careers. And many of them have. In fact, we have something like sixty singers on the Met roster today that came through our auditions. BD: Are singers today better prepared than they were twenty, thirty, forty years ago? RS: I don’t know that they’re better prepared, but I would say they certainly are ahead of Europe. That’s why American singers are so much in demand in Europe today. They are extremely well prepared. They’re in abundance in comparison with my time, and the voices are extremely well trained. BD: Seems almost like a flip-flop. You used to have to go to Europe to get experience and get a break. Now it seems that you’re going there because you’re in demand and you’re wanted. BD: That’s a wonderful situation for the American singer. RS: It is marvelous. I don’t think there’s an opera house in all of Europe that you won’t find a majority of their singers who are not Americans. It’s incredible, the amount of singers over there that are Americans, singing in all the different opera houses. BD: When you talk with these singers, are they happy to be working in Europe, or are they itching to get back? RS: I think an American singer always hopes to get back. It depends on the kind of successes they have in Europe. If they’re huge successes, they want very much to be involved with those opera houses because they are in demand. Also, they get to the point where they’ve had such success that they just wait for Met to come to them if they’re ready or if they want them, and in most cases that happens. But naturally they all want to come to the Met. At least I think they all want to come to the Met. That’s their ultimate, ultimate goal, but most of them make it. BD: It sounds very encouraging. RS: I think it’s encouraging, yes. They still learn a great deal from Europe. If they get the right roles and if they’re not overtaxed, they can make very fine careers and be considered for the house. But sometimes they overdo themselves, and some opera houses take advantage of that. That is not a good situation. That’s the reason that James Levine has started the Young Artist Development Program within the Metropolitan Opera. This is a wonderful program. I’m advisor to the program. Mr. Levine finds singers who he thinks should have that three-year — I hate to use the word, ‘training,’ but in a way that’s exactly what it is. They get languages, they get coaching of all types, dramatic as well as vocal, if they wish. Sometimes they have their own vocal teachers and they’d rather stay with them. BD: Is it more of a nurturing? RS: It is a nurturing, yes. There are few of them who audit our program who are not considered for the Met roster, and some of them already in their second year are singing roles at the Met. What’s wonderful is that they get a stipend to live on so that they don’t have to worry about outside engagements, and they don’t necessarily have to accept everything the Met offers them if they feel they don’t want to do it. If they do get an outside engagement coming to them, they discuss that with Mr. Levine and he indicates if he thinks they’re ready or if they should wait before they do that. BD: It’s wonderful to have that kind of top flight advice right there for the asking. RS: Oh, it’s wonderful. It is a marvelous, marvelous program! Not only that, but they meet all the famous singers from throughout the world who come to the house. The young singers have an opportunity to sit down and talk with them. They go into rehearsals where these singers are rehearsing and very often they say, “May I speak to you?” and without a doubt the singer sits down and talks to them. BD: We have the same kind of thing here with the Lyric Opera Center for American Artists. RS: Yes, that’s right. You do have, with your apprentice program. BD: Should every big opera house have this kind of thing? RS: I would say it would be a great advantage to that opera house. I think Munich has that. BD: La Scala has had one for years, I Cadetti della Scala. RS: I can’t talk on that, because I don’t know how successful they are. RS: To criticize. [Both laugh] Good or bad! It’s his opinion. BD: Do they have too much power sometimes? RS: I don’t think so. An audience today goes to hear an opera not necessarily for what the critics say. Although if a critic were to say, “I heard a singer who I think is phenomenal,” an audience would turn around and say, “Mmmm... I better go hear that person.” But if they see a criticism which is negative, that does not affect the Met very often. But of course I’m talking from my point of view. I’m sure some people feel it might affect their opinion, and they’re not happy about bad reviews. Sometimes they give very good advice through their criticism, and sometimes they can be quite harmful. BD: Let me ask about one last person — Lotte Lehmann. RS: Oh, God. I love that woman. I held her in great awe. She was extraordinary. There was a woman who knew exactly what she was doing on the stage. Don’t forget, I sang with her in the latter years. I didn’t have the advantage of singing with her at her prime, but even at that, this woman was extraordinary. Just being on the stage with her taught me a great deal in terms of interpretation, in terms of doing things with the voice which says something that is not just a note. She was a great interpreter. She knew how to speak on a tone. That I learned from her. BD: That makes you part of this long tradition, which you are now continuing to pass along. RS: I’m trying to, yes. I’m trying very hard to make people very conscious of that. BD: You’ve been most gracious to spend this time with me this afternoon. RS: That’s alright, Mr. Duffie. It’s been a pleasure. Rise Stevens, who has died aged 99, was a glamorous mezzo-soprano and excelled as an on-stage seductress. 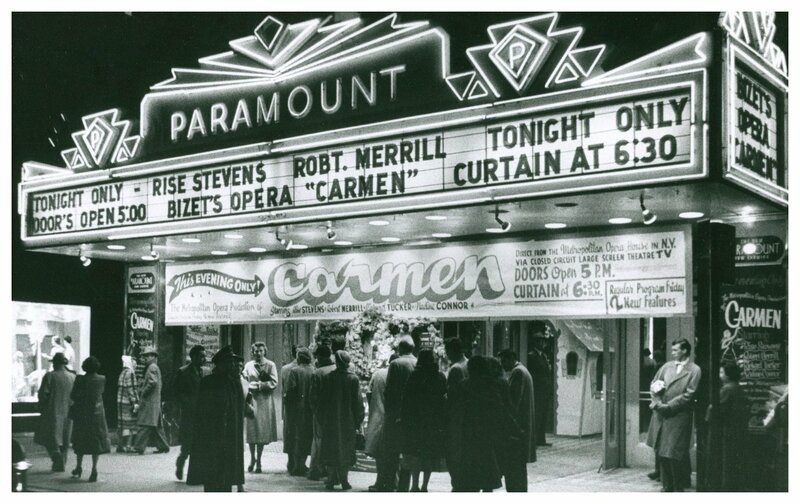 Carmen – a role she dominated at the Metropolitan Opera House, New York, during the 1940s and 1950s – and Delilah were her stock in trade, and by 1945 her voice was insured at Lloyds of London for a record $1 million. Such was her standing at the Met that when union members threatened to jeopardise the 1961-62 season, she sent a telegram to President Kennedy asking him to intervene – which he did. She was born Risë Gus Steenberg – Risë rhyming with Lisa – in the Bronx, New York, on June 11 1913. Her father, Christian, was a Norwegian Lutheran who sold advertising; her mother, Sarah, was a Polish Jew. She recalled her heavy-drinking father encouraging her to sing along with him to When Irish Eyes are Smiling in their kitchen. Thanks to a musical aunt she earned a dollar a week appearing on The Children’s Hour on local radio. By 1930 she was singing in local concerts in New York using the professional name Stevens and soon joined the Little Theatre Opera Company, supporting herself by modelling fur coats during one of the hottest New York summers on record. She studied at the Juilliard School with Anna Schoen-René, who in 1936 advised her to turn down an offer from the Met in favour of pursuing her studies in Salzburg with Marie Gutheil-Schoder. Her formal debut was in the title role in Mignon in Prague under George Szell; two years later she appeared with the Vienna State Opera, sang Octavian in Der Rosenkavalier in Buenos Aires and made her debut with the Met company in Philadelphia and, a few days later, in New York. The Marriage of Figaro was the opera with which Glyndebourne first opened its doors in 1934. 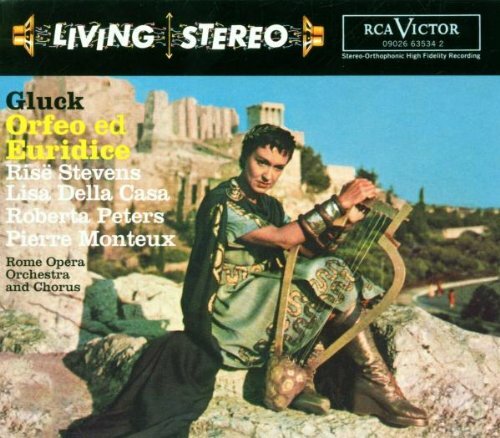 Five years later Risë Stevens joined the stalwarts of that inaugural season – including Audrey Mildmay – to sing Cherubino there . That season she also played Dorabella in Così fan tutte with Roy Henderson, demonstrating her “charming voice and style”. She was booked to return to Glyndebourne for the first production of Carmen there the following year – but by 1940, however, the Sussex opera house was a makeshift nursery school for 240 children from London. During the war she enjoyed a parallel career as a minor film star, appearing in The Chocolate Soldier (1941) with Nelson Eddy, and Going My Way (1944) with Bing Crosby, the latter winning seven Oscars. 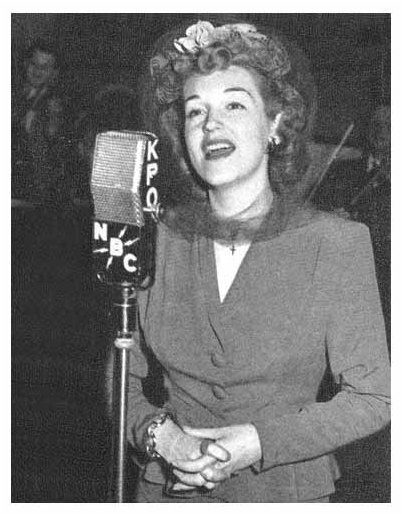 These appearances only bolstered her operatic career, and by the mid-1940s she was commanding top fees at the Met and had her own weekly radio show. 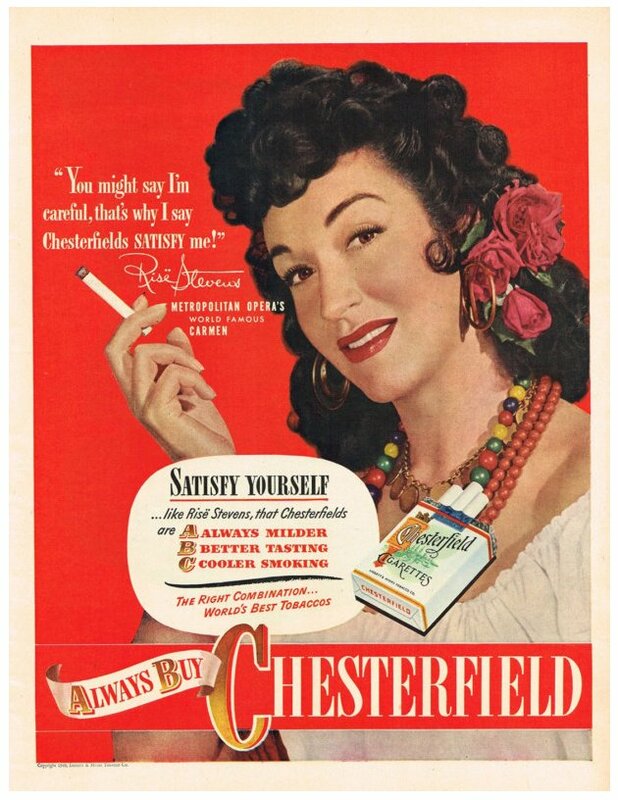 In 1955 Risë Stevens reprised her Cherubino at Glyndebourne, but was unable to carry off the trouser role with the same youthful vitality as two decades earlier, and little was seen of her again in Europe. American audiences seemingly did not mind and the Mozart part remained a mainstay of her repertory for many years along with roles such as Delilah and Octavian. 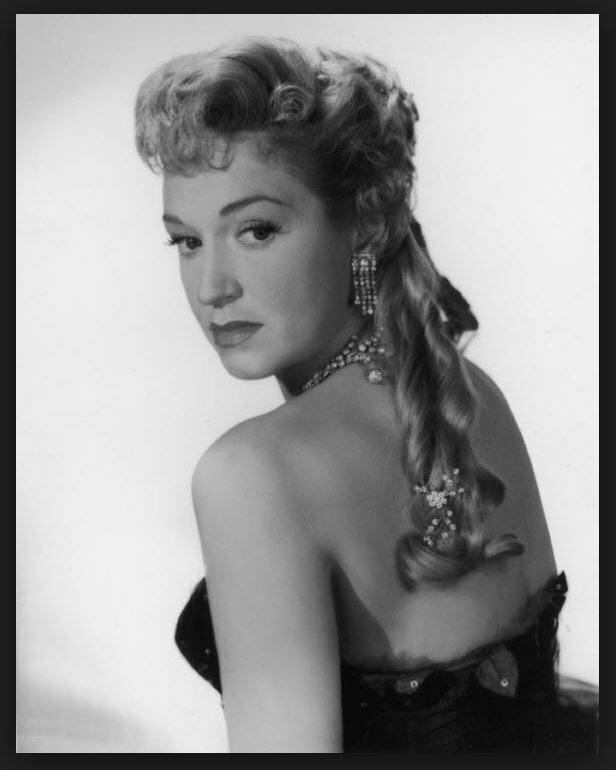 When the Lincoln Centre opened its Music Theatre, she played Anna in Rodgers and Hammerstein’s The King and I. After bowing out from the Met in 1961, Rudolf Bing, the Met’s autocratic director, asked Risë Stevens to run the new Metropolitan Opera National Company, which would take the Met’s work to smaller venues around America. Though the project foundered within a couple of seasons, she remained on the Met’s administrative team for many years, offering particular care and attention to young artists. She was also president of Mannes College of Music, New York. 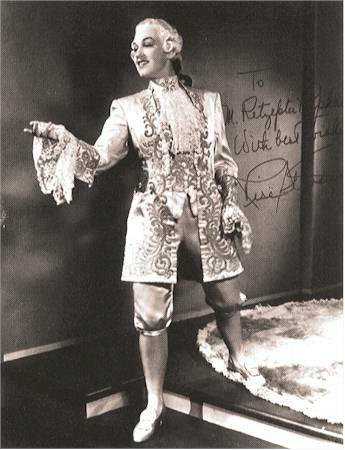 During her 124 performances of Carmen at the Met, Risë Stevens felt confident with most of her Don Josés, such as Richard Tucker and Ramón Vinay. 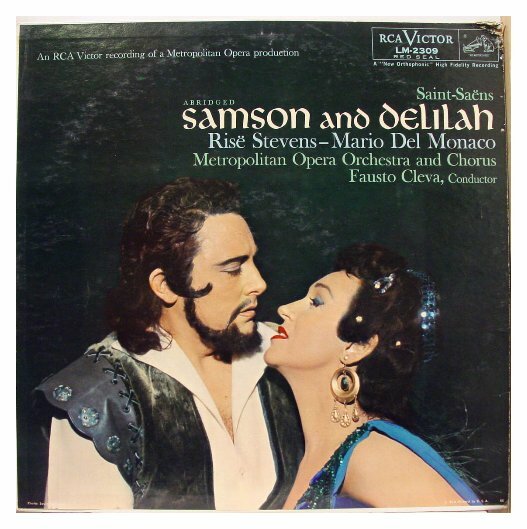 However, such was the unbridled enthusiasm with which Mario del Monaco and Kurt Baum played the role that she demanded they be equipped with a rubber knife for Act IV when her character is stabbed. There were other hazards. In 1951, during Der Rosenkavalier, she caught splinters of glass in her eye after dropping a glass on stage. After being treated by a doctor in the wings she was able to continue. Risë Stevens remained a formidable presence to the end, helping two biographers and giving a lengthy television interview at 98. She married Walter Surovy in 1939, and he soon became her manager. She recalled how once “when I dislocated my shoulder singing Carmen he first called The New York Times, then the doctor. As a wife I felt insulted, but as a client I had to bow to him.” He predeceased her in 2001, and she is survived by their son, the actor Nicolas Surovy. This interview was recorded on the telephone on April 22, 1985. Segments were used (with recordings) on WNIB later that year, and again in 1993, 1998, and 2000. It was transcribed and posted on this website in 2013.